1. To modify the vesting schedule on an existing grant, you will select 'Modify vesting schedule' in the drop-down menu for the appropriate certificate. The best method is to "Import a standard schedule" and update the tranches as needed. 3. You are also able to build the schedule from scratch using the (+) and (-) buttons on the right. 4. 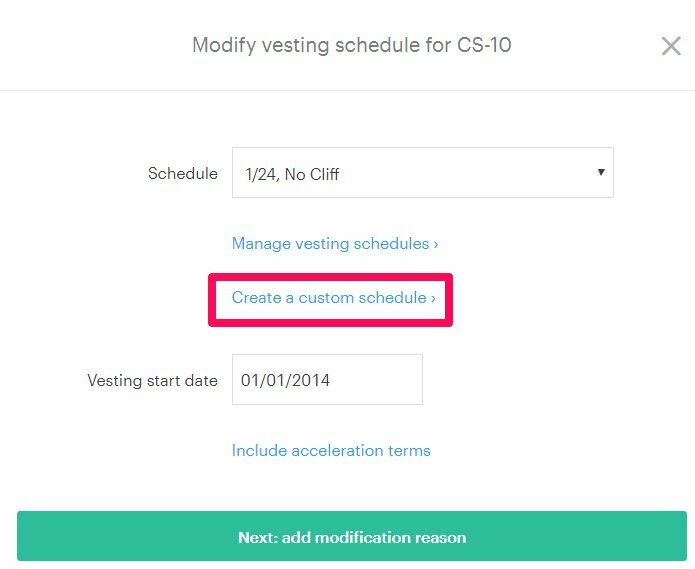 Once you import a standard schedule, you can then adjust the vesting tranche dates and number of options to vest as needed. 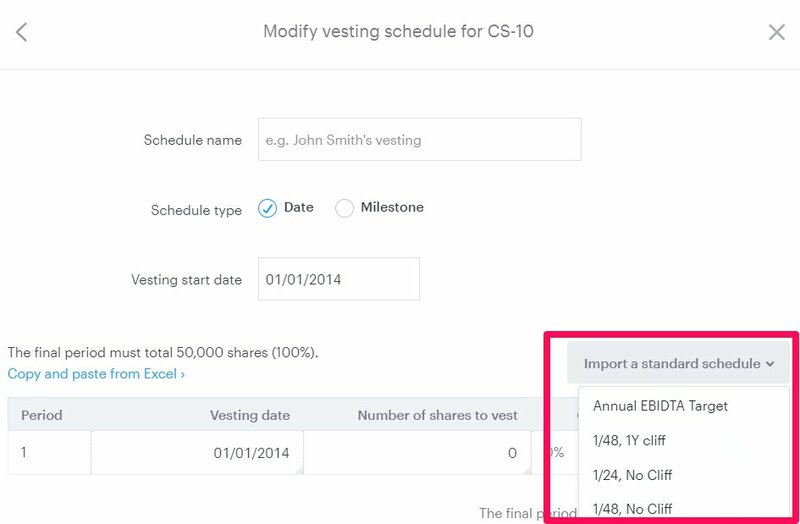 Note: You are unable to update the "Cumulative Vested" number - that column is automatically calculated depending on the preceding tranches and "Numbers of options to vest" column. You are also able to add and remove tranches using the (+) and (-) buttons on the right. 5. Once you have updated the tranches and amounts as needed, you will be able to save the schedule. The last tranche amount must be equal to the total number of shares issued.